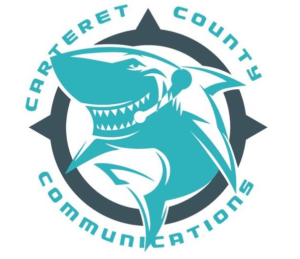 Carteret Emergency Communications is located in Morehead City, North Carolina. For minimum staffing our center has 5 telecommunicators on day shift and 4 on night shift with 9 total consoles. For days prior to and days following the Hurricane the center was fully staffed 24/7 to include every member of Communications. On September 14, 2018, Hurricane Florence hit eastern North Carolina. Hurricane Florence was expected to hit as a Category 4, thank the heavens it only landed as a Category 1 in our area. Our center was as prepared as it could be. During the peak of the hurricane our center received quadruple the amount of calls than we do on a “normal” day. Every single person at the center had to put their personal lives on hold, do their best to protect their belongings and send their families to safety not knowing what they would come back home to. All staff members were housed in the building and were not able to go home and check on their property until after the storm had passed, the roads were safe again and the call volume allowed for lower staffing. I personally was on a roller coaster of emotions throughout the storm as well as other members of the center. I will never forget during the height of a busy day, a member of the Red Cross called just to say thank you. I cried tears of gratitude and really acknowledged how amazing the people I was working alongside are. I witnessed our center bond like never before. Everyone worked their tails off during the storm, then after the shift, played cards and had a “sleepover” in various rooms throughout the building. Working through that time made everyone closer, absolutely knowing that we have each other’s backs and that when tough times come, we can slay it like no other.